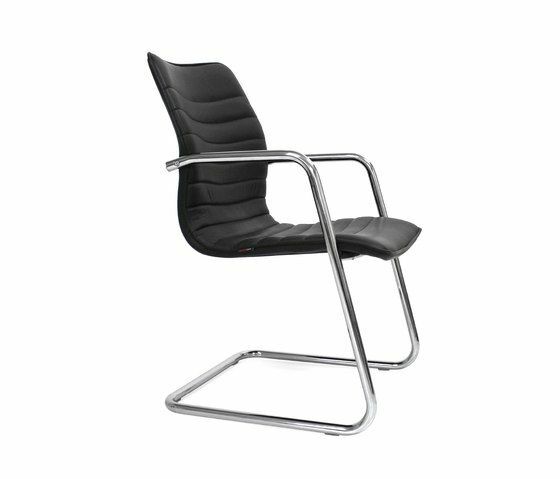 Ice is an executive chair that can adapt a lot to its environment, classic or modern and stylish. The horizontal stitching enriches and characterizes the shapes of this chair. Designed for executive environment with a simple but researched and current pleasure, Ice ensures in any of its configuration a perfect comfort of use and an excellent functionality. The base is proposed in two different types: 5 aluminum spokes on castors or cantilever with or without armrests.